JERUSALEM — Finally, the Zionist organizational world is saying hello to shmita and goodbye to fracking, thanks to two new laws that Aytzim’s Green Zionist Alliance passed at this week’s World Zionist Congress in Jerusalem. Using shmita as an environmental framework, the first new law mandates that the World Zionist Organization and its constituent agencies — including Keren Kayemet L'Yisrael (Jewish National Fund in Israel), the Jewish Agency for Israel, and Keren HaYesod (United Israel Appeal) — first measure their carbon emissions and then develop seven-year climate-action plans to reduce their carbon footprints. It also requires the issuance of annual reports describing both the climate-action plans as well as the progress toward achieving them. This will be the first time that these Zionist institutions will be taking environmental sustainability into account in their long-term planning. It’s fitting that such a shmita-inspired law passed this year, since the Congress served, although unknowingly to most in attendance, as a hakhel — the time just after the end of the shmita year when Jews from all over gather in Jerusalem to learn and discuss the law. The second new law prohibits all fossil-fuel extraction — including fracking and in-situ retorting — on land owned by KKL-JNF. And, perhaps more importantly, it instructs KKL-JNF to actively oppose fossil-fuel extraction projects elsewhere in the country when Israel’s water resources are at risk, such as the planned extraction of oil near the Sea of Galilee. Last year, with support from Aytzim and KKL-JNF, oil-shale fracking was blocked in Central Israel’s Adullam region, and this new law will help ensure that KKL-JNF’s position remains favoring clean freshwater over dirty energy extraction. You can read the full text of both new laws here. Although both laws, when proposed, were rejected many times by committees and bureaucrats in advance of the Congress, Aytzim’s delegation to the Congress succeeded in circumventing the traditional resolutions route and, through collecting delegate signatures, pushed both resolutions into and through committee and onto the Congress floor, where they both passed near unanimously. Large institutions like the World Zionist Organization, which is nearly twice as old as the modern Israeli state, can be slow to change. But thanks to the effort of Aytzim, with your support, and Aytzim’s partners, the Zionist world is becoming greener every day. And that means cleaner air, water and land for all of Israel. 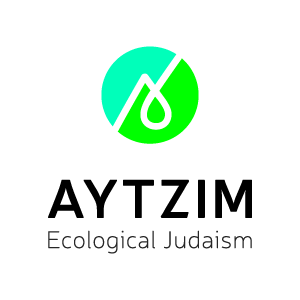 David Krantz is the president and chairperson of Aytzim: Ecological Judaism.